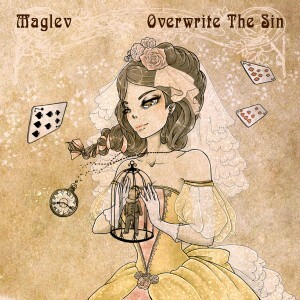 All songs written, composed, arranged and produced by Joost Maglev. “Musically I started with this album as soon as 2008, as most of The Hands Of Time was written in that period. At first I wanted to do a 5 track long song album called ‘The Hand’ with the long Magic Lantern, an extended version of GAPS, Judith, a full Dutch version of Confined called De Kooi, and The Hands Of Time. Work with Galanor resulted in lack of dedication on this project, which even shortly transformed into a duet album called ‘The Hands’ with Sebas Honing, which would feature two long tracks from Sebas, a track written together called The Blessing, and De Kooi and The Hands Of Time. The co-written track sounded not very inspired and the project was eventually shelved, Sebas using some of the material from this album on Artificial Memories, most notably the track ‘The First Time’.